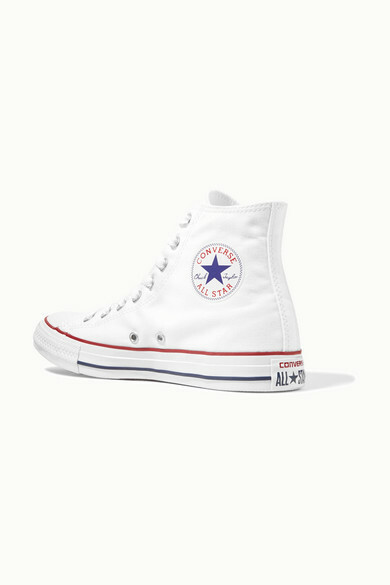 Originally created as a basketball shoe in 1921 and named after a player on the 'Converse All Stars' team, Chuck Taylors are one of the iconic sneakers in the world. 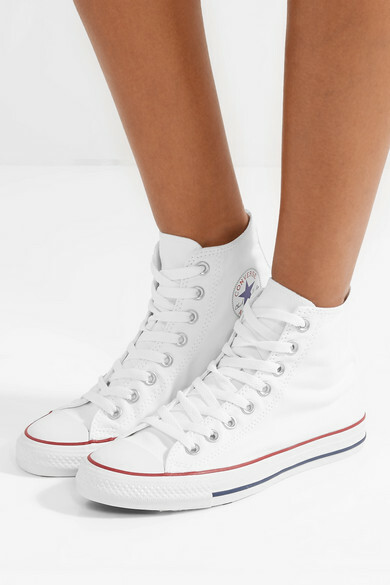 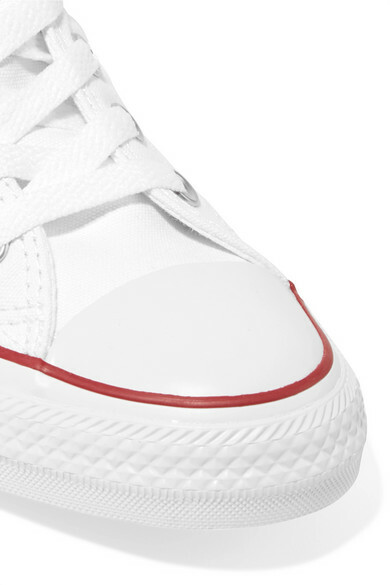 Crafted from breathable canvas with a rubber sole, this white high-top pair is a timeless choice for off-duty dressing. 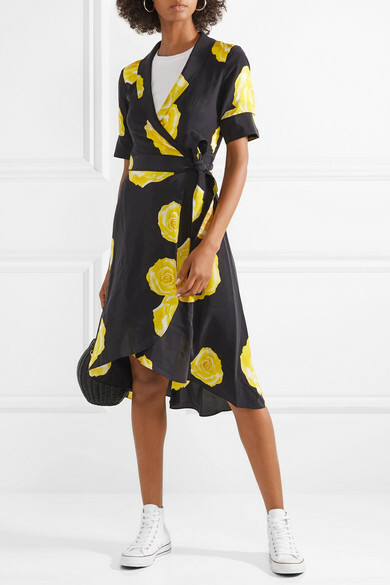 Shown here with: GANNI Dress, The Row T-shirt, Ulla Johnson Shoulder bag, Kenneth Jay Lane Earrings.